The first day of autumn – though I had difficulty telling the difference from summer – and the ESNG members turned out in force. The treasurer was back from holiday, and was quick to collect the subs for the night. 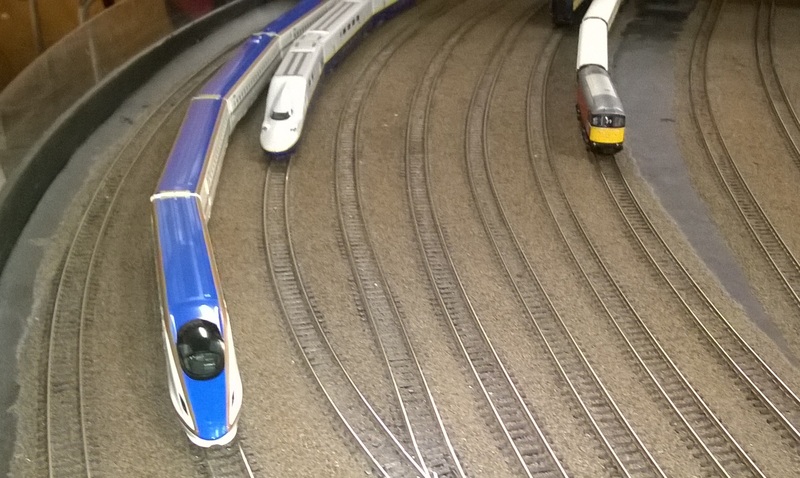 On the tracks, it was bullet train night…..
Paul was testing out the units he will be using at the Gaugemaster show over the weekend. And Tommy brought his unit along to add to the party. 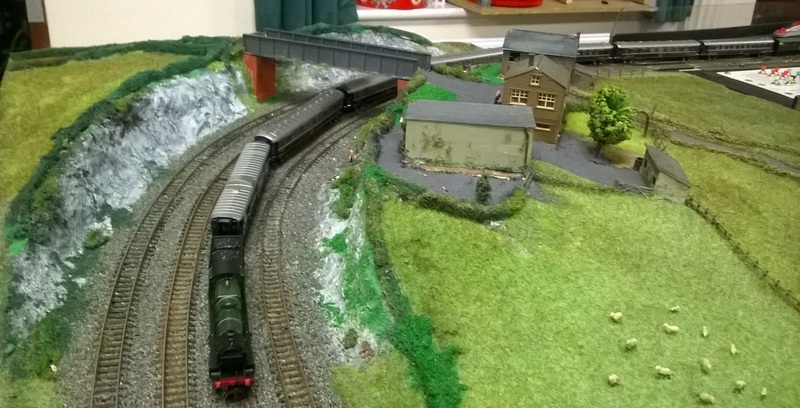 Apart from the Japanese trains, Ravi brought along some American stock, Phil was running a variety of UK trains, Dave was testing two Dapol ‘Schools’ and Neil ran this pseudo-boat train – an ‘N’ class pulling some Kato coaches and a Southern luggage van. Not totally correct, but a very attractive train, none the less. And we finalised plans to load up the vehicles and head for Arundel and set up for the show. Dave was predicting monsoon weather – not idea for layouts in a marquee, but the forecast today seems better – just heavy rain overnight Saturday.